My name is Lisa Barden and I was born in Australia. 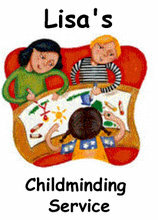 I am an Ofsted Registered Childminder living in Wellingborough. I am a member of PACEY and have served on the committee of the Medway Association of Registered Childminders. I have been a childminder since 2002 after having had my two older children. I hold a valid paediatric first aid certificate, an enhanced CRB check and have been graded as OUTSTANDING by Ofsted. I have two sons, Joshua (1996) and Jamie (2000) and a daughter, Grace (2008). I have been married to Geoff since 1994. All the children benefit greatly from my working as a childminder and I aim to provide children with a safe, secure and fun environment that is a Home away from Home for your child. I provide my service from home and my house is child friendly and includes an extensive range of play and learning equipment and toys. I live close to a number of parks and play areas that I use all year round and I attend a number of local playgroups and activity clubs during the week. We also visit a number of other places during the year. I offer a very flexible service and I am happy to cater for any hours you may require including varied shift patterns and both full-time and part-time places. My home is a non-smoking environment and I provide a range of healthy meals and snacks if required. Further details are available in my service statement. The Childminder is a verse that sums this all up for me and you might like to read it here. This website has been running since January 2003 and any comments are appreciated.